The Society's main publications are the Bulletin and the Occasional Papers. The Bulletin is currently published three times a year and is the Society's main publication for keeping members up to date on Society activities. 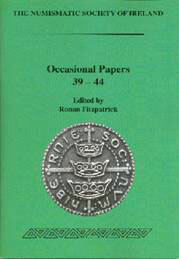 The Occasional Papers, as the name suggests, is published less frequently and includes scholarly writings by members. Both publications are issued free of charge to paid up members at the time of publication. Copies of previous publications are available for purchase at the Online Shop.